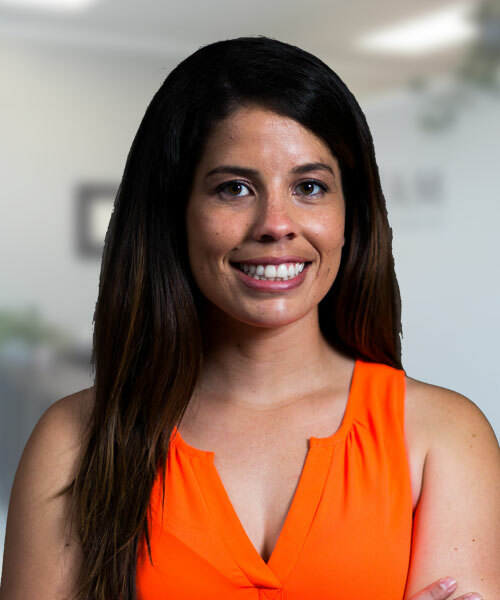 In Health Clinic ⁄ Doctors ⁄ Chiropractor ⁄ Bryanna Esquivel, D.C.
D r. Esquivel did her undergraduate training at Simpson University where she earned her Bachelor of Arts in Psychology. At a very young age Dr. Esquivel excelled at sports, in particular, softball. She was a softball catcher for 18 years and was on an athletic scholarship in college. Her interest to become a chiropractor developed throughout the years she played for the Simpson University softball team. She personally experienced how chiropractic care helped her multiple injuries and was inspired to further her studies in the field. Dr. Esquivel attended Palmer College of Chiropractic – West where she received the degree of Doctor of Chiropractic. During her fellowship at the Veterans Affairs (VA) Hospital in Redding, CA, she worked extensively with veteran patients who endured complicated physical and mental challenges. Her experience at the VA deepened her understanding of these complexities in which she brings to the office everyday. Her passion for treating athletes is fueled due to her athletic background. She wants to give back to the community by helping others recover from injuries and pain. She believes in the value of an integrative healthcare system in which multiple techniques, modalities, and providers work together to ensure the patient is receiving the best healthcare they deserve. She enjoys connecting and getting to know each patient to find the root of their health concerns. She is trained in chiropractic techniques, which include, diversified technique, soft tissue, and Activator technique. Dr. Esquivel is an active member of the American Chiropractic Association, America Chiropractic Association- Sports Council, and California Chiropractic Association. In her spare time, Dr. Esquivel volunteers by coaching softball at Los Gatos High School. She is a huge animal lover, enjoys going to the gym, and spending time with her family and friends.